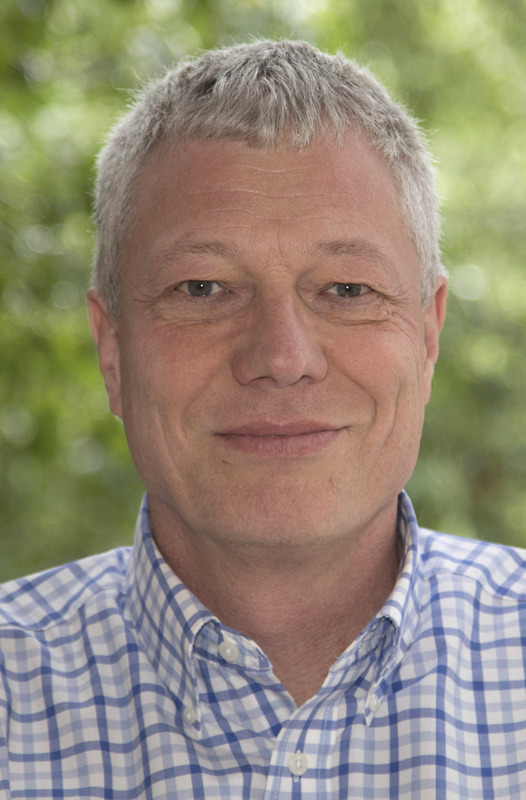 Dr. Matthias Steiner is a Senior Scientist with the National Center for Atmospheric Research (NCAR) serving as Director for the Aviation Applications Program of the Research Applications Laboratory (RAL). Drawing from three decades of scientific experience, he leads new initiatives and directs research and development efforts broadly aimed at mitigation of avoidable weather impacts on various sectors, with a particular focus on aviation. Dr. Steiner’s vision, leadership, and substantial contributions toward mitigating weather impacts on the aviation industry reach deeply across the traditional boundaries of developing more accurate weather forecasts in order to integrate weather guidance in the decision-making process to better serve aviation operators. At present, Dr. Steiner is leading efforts to understand weather sensitivities and requirements for the rapidly growing interests in urban air mobility and using unmanned aerial systems for wide-ranging applications and safe integration into the national airspace system. Dr. Steiner has received multiple recognitions for excellent contributions to field programs, scientific missions, and outstanding publications. Most notable, Dr. Steiner is a Fellow of both the Royal and American Meteorological Societies. Xie, J., A. R. Kothapally, Y. Wan, C. He, C. Taylor, C. Wanke, and M. Steiner, Similarity search of spatiotemporal scenario data for strategic air traffic management, Journal of Aerospace Information Systems, 16, 2019 (in press). Sauer, M., M. Steiner, R. D. Sharman, J. O. Pinto, and W. K. Deierling, Tradeoffs for routing flights in view of multiple weather hazards, Journal of Air Transportation, 27(2), 70 – 80, 2019. Stith, J. L., D. Baumgardner, J. Haggerty, R. M. Hardesty, W.-C. Lee, D. Lenschow, P. Pilewskie, P. L. Smith, M. Steiner, and H. Voemel, 100 years of progress in atmospheric observing systems, Chapter 2 in A Century of Progress in Atmospheric and Related Sciences: Celebrating the American Meteorological Society Centennial, Meteorological Monographs, 59, 2.1-2.55, 2019. Ikeda, K., M. Steiner, and G. Thompson, Examination of mixed-phase precipitation forecasts from the High-Resolution Rapid Refresh model using surface observations and sounding data, Weather and Forecasting, 32(3), 949 – 967, 2017. Sauer, M., M. Steiner, R. D. Sharman, J. O. Pinto, and D. R. Adriaansen, Flight planning and execution with multiple weather hazards, The Journal of Air Traffic Control, 58(4), 16 – 23, 2016. Ahijevych, D., J. O. Pinto, J. K. Williams, and M. Steiner, Probabilistic forecasts of mesoscale convective system initiation using the random forest data-mining technique, Weather and Forecasting, 31(2), 581 – 599, 2016. Kicinger, R. J.-T. Chen, M. Steiner, and J. Pinto, Airport capacity prediction with explicit consideration of weather forecast uncertainty, Journal of Air Transportation, 24(1), 18 – 28, 2016. Friedrich, K., E. A. Kalina, J. Aikins, M. Steiner, D. Gochis, P. A. Kucera, K. Ikeda, J. Sun, Raindrop size distribution and rain characteristics during the 2013 Great Colorado Flood, Journal of Hydrometeorology, 17(1), 53 – 72, 2016. Gochis, D., R. Schumacher, K. Friedrich, N. Doesken, M. Kelsch, J. Sun, K. Ikeda, D. Lindsey, A. Wood, B. Dolan, S. Matrosov, A. Newman, K. Mahoney, S. Rutledge, R. Johnson, P. Kucera, P. Kennedy, D. Sempere-Torres, M. Steiner, R. Roberts, J. Wilson, W. Yu, V. Chandrasekar, R. Rasmussen, A. Anderson, and B. Brown, The great Colorado flood of September 2013, Bulletin of the American Meteorological Society, 96(9), 1461 – 1487, 2015. Steiner, M., A. R. S. Anderson, S. Landolt, S. Linden, and B. R. J. Schwedler, Coping with adverse winter weather – Emerging capabilities in support of airport and airline operations, The Journal of Air Traffic Control, 57(3), 36 – 45, 2015. Pinto, J. O., J. A. Grim, and M. Steiner, Assessment of the High-Resolution Rapid Refresh model’s ability to predict mesoscale convective systems using object-based evaluation, Weather and Forecasting, 30(4), 892 – 913, 2015. Steiner, M., W. Deierling, K. Ikeda, and R. G. Bass, Ground delays from lightning ramp closures and decision uncertainties, Air Traffic Control Quarterly, 22(3), 223 – 249, 2015. Ikeda, K., M. Steiner, J. Pinto, and C. Alexander, Evaluation of cold-season precipitation forecasts generated by the hourly-updating High-Resolution Rapid Refresh model, Weather and Forecasting, 28(4), 921 – 939, 2013. Steiner, M., W. Deierling, and R. Bass, Balancing safety and efficiency of airport operations under lightning threats, The Journal of Air Traffic Control, 55(2), 16 – 23, 2013. Keller, T. L., R. Rotunno, M. Steiner, and R. D. Sharman, Upstream propagating wave modes in moist and dry flow over topography, Journal of the Atmospheric Sciences, 69(10), 3060 – 3076, 2012. Seo, B.-C., W. F. Krajewski, A. Kruger, P. Domaszczynski, J. A. Smith, and M. Steiner, Radar-rainfall estimation algorithms of Hydro-NEXRAD, Journal of Hydroinformatics, 13(2), doi:10.2166/hydro.2010.003, 277 – 291, 2011. Krajewski, W. F., A. Kruger, J. A. Smith, R. Lawrence, C. Gunyon, R. Goska, B.-C. Seo, P. Domaszczynski, M. L. Baeck, M. K. Ramamurthy, J. Weber, A. A. Bradley, S. A. DelGreco, and M. Steiner, Towards better utilization of NEXRAD data in hydrology: An overview of Hydro-NEXRAD, Journal of Hydroinformatics, 13(2), doi:10.2166/hydro.2010.056, 255 – 266, 2011. Smith, J. A., M. L. Baeck, A. A. Ntelekos, G. Villarini, and M. Steiner, Extreme rainfall from orographic thunderstorms in the Central Appalachians, Water Resources Research, 47(4), W04514, doi:10.1029/2010WR010190, 2011. Steiner, M., R. Bateman, D. Megenhardt, Y. Liu, M. Xu, M. Pocernich, and J. Krozel, Translation of ensemble weather forecasts into probabilistic air traffic capacity impact, Air Traffic Control Quarterly, 18(3), 229 – 254, 2010. Smith, J. A., E. Hui, M. Steiner, M. L. Baeck, W. F. Krajewski, and A. A. Ntelekos, Variability of rainfall rate and raindrop size distributions in heavy rain, Water Resources Research, 45(4), W04430, doi:10.1029/2008WR006840, 2009. Saxen, T. R., C. K. Mueller, T. T. Warner, M. Steiner, E. E. Ellison, E. W. Hatfield, T. L. Betancourt, S. M. Dettling, and N. A. Oien, The operational mesogamma-scale analysis and forecast system of the U.S. Army Evaluation Test and Evaluation Command. Part IV: The White Sands Missile Range Auto-Nowcast system, Journal of Applied Meteorology and Climatology, 47(4), 1123 – 1139, 2008. Javier, J. R. N., J. A. Smith, J. England, M. L. Baeck, M. Steiner, and A. A. Ntelekos, Climatology of extreme rainfall and flooding from orographic thunderstorm systems in the upper Arkansas River basin, Water Resources Research, 43(10), W10410, doi:10.1029/2006WR005093, 2007. Sieck, L. C., S. J. Burges, and M. Steiner, Correction to “Challenges in obtaining reliable measurements of point rainfall”, Water Resources Research, 43(6), W06701, doi:10.1029/2007WR005985, 2007. Sieck, L. C., S. J. Burges, and M. Steiner, Challenges in obtaining reliable measurements of point rainfall, Water Resources Research, 43(1), W01420, doi:10.1029/2005WR004519, 2007. National Research Council, NOAA's Role in Space-Based Global Precipitation Estimation and Application, The National Academies Press, Washington, D.C., 166 pp., 2007. National Research Council, Assessment of the Benefits of Extending the Tropical Rainfall Measuring Mission: A Perspective from the Research and Operations Communities—Interim Report, The National Academies Press, Washington, D.C., 116 pp., 2006. Steiner, M., Estimation of precipitation using ground-based, active microwave sensors, Encyclopedia of Hydrologic Sciences, M. G. Anderson, Editor-in-Chief, John Wiley & Sons Ltd., Vol. 2, 951 – 964, 2005. Medina, S., B. F. Smull, R. A. Houze Jr., and M. Steiner, Cross-barrier flow during orographic precipitation events: Results from MAP and IMPROVE, Journal of the Atmospheric Sciences, 62(10), 3580 – 3598, 2005. National Research Council, Flash Flood Forecasting Over Complex Terrain — With an Assessment of the Sulphur Mountain NEXRAD in Southern California, The National Academies Press, Washington DC, 206 pp., 2005. Steiner, M., and J. A. Smith, Scale-dependence of radar rainfall rates — An assessment based on raindrop spectra, Journal of Hydrometeorology, 5(6), 1171 – 1180, 2004. Steiner, M., Comment on "Modeling of convective-stratiform precipitation processes: Sensitivity to partitioning methods" by Lang, Tao, Simpson, and Ferrier, Journal of Applied Meteorology, 43(6), 958 – 961, 2004. Steiner, M., J. A. Smith, and R. Uijlenhoet, A microphysical interpretation of radar reflectivity – rain rate relationships, Journal of the Atmospheric Sciences, 61(10), 1114 – 1131, 2004. Steiner, M., T. L. Bell, Y. Zhang, and E. F. Wood, Comparison of two methods for estimating the sampling-related uncertainty of satellite rainfall averages based on a large radar data set, Journal of Climate, 16(22), 3759 – 3778, 2003. Sieck, L. C., M. Steiner, S. J. Burges, J. A. Smith, and C. V. Alonso, The challenges of measuring rainfall: Observations made at the Goodwin Creek research watershed. Proceedings, 1st Interagency Conference on Research in Watersheds, 27-30 October, Benson, Arizona, United States Department of Agriculture (USDA) - Agricultural Research Service (ARS), 198 – 204, 2003. Uijlenhoet, R., J. A. Smith, and M. Steiner, The microphysical structure of extreme precipitation as inferred from ground-based raindrop spectra, Journal of the Atmospheric Sciences, 60(10), 1220 – 1238, 2003. Steiner, M., O. Bousquet, R. A. Houze Jr., B. F. Smull, and M. Mancini, Airflow within major Alpine river valleys under heavy rainfall, Quarterly Journal of the Royal Meteorological Society, 129(588), 411 – 432, 2003. Uijlenhoet, R., M. Steiner, and J. A. Smith, Variability of raindrop size distributions in a squall line and implications for radar rainfall estimation, Journal of Hydrometeorology, 4(1), 43 – 61, 2003. Uijlenhoet, R., M. Steiner, and J. A. Smith, Influence of disdrometer deadtime correction on self-consistent analytical parameterizations for raindrop size distributions, Proceedings, 2nd European Conference on Radar Meteorology (ERAD), Copernicus GmbH, 104 – 112, 2002. Steiner, M., and P. F. Meischner, The 30th International Conference on Radar Meteorology, Bulletin of the American Meteorological Society, 83(11), 1649 – 1656, 2002. Steiner, M., and J. A. Smith, Use of three-dimensional reflectivity structure for automated detection and removal of nonprecipitating echoes in radar data, Journal of Atmospheric and Oceanic Technology, 19(5), 673 – 686, 2002. Steiner, M., and J. A. Smith, Reflectivity, rain rate, and kinetic energy flux relationships based on raindrop spectra, Journal of Applied Meteorology, 39(11), 1923 – 1940, 2000. Landel, G., J. A. Smith, M. L. Baeck, M. Steiner, and F. L. Ogden, Radar studies of heavy convective rainfall in mountainous terrain, Journal of Geophysical Research—Atmospheres, 104(D24), 31451 – 31465, 1999. Steiner, M., J. A. Smith, S. J. Burges, C. V. Alonso, and R. W. Darden, Effect of bias adjustment and rain gauge data quality control on radar rainfall estimation, Water Resources Research, 35(8), 2487 – 2503, 1999. Steiner, M., and J. A. Smith, Convective versus stratiform rainfall: An ice-microphysical and kinematic conceptual model, Atmospheric Research, 47 – 48, 317 – 326, 1998. Steiner, M., and R. A. Houze Jr., Sensitivity of monthly three-dimensional radar-echo characteristics to sampling frequency, Journal of the Meteorological Society of Japan, 76(1), 73 – 95, 1998. Steiner, M., J. A. Smith, S. J. Burges, and C. V. Alonso, Use of radar for remote monitoring of rainfall rate and rainfall kinetic energy on a variety of scales, In Management of Landscapes Disturbed by Channel Incision—Stabilization, Rehabilitation, Restoration, S. S. Y. Wang, E. J. Langendoen, and F. D. Shields, Eds., The University of Mississippi, University, MS, 831 – 839, 1997. Steiner, M., and R. A. Houze Jr., Sensitivity of the estimated monthly convective rain fraction to the choice of Z-R relation, Journal of Applied Meteorology, 36(5), 452 – 462, 1997. Smith, J. A., M. L. Baeck, M. Steiner, and A. J. Miller, Catastrophic rainfall from an upslope thunderstorm in the central Appalachians: The Rapidan storm of June 27, 1995, Water Resources Research, 32(10), 3099 – 3113, 1996. Steiner, M., Uncertainty of estimates of monthly areal rainfall for temporally sparse remote observations, Water Resources Research, 32(2), 373 – 388, 1996. Steiner, M., R. A. Houze Jr., and S. E. Yuter, Climatological characterization of three-dimensional storm structure from operational radar and rain gauge data, Journal of Applied Meteorology, 34(9), 1978 – 2007, 1995. Staehelin, J., A. Waldvogel, J. L. Collett Jr., R. Dixon, R. Heimgartner, W. Henrich, C. Hsu, L. Li, L. Mosimann, B. Oberholzer, A. S. H. Prévôt, W. Schmid, T. Schumann, M. Steiner, M. Volken, and B. Zinder, Scientific goals and experiments of the project "winter precipitation at Mount Rigi": An overview, Water, Air, and Soil Pollution, 68, 1 – 14, 1993. Mosimann, L., M. Steiner, J. L. Collett Jr., W. Henrich, W. Schmid, and A. Waldvogel, Ice crystal observations and the degree of riming in winter precipitation, Water, Air, and Soil Pollution, 68, 29 – 42, 1993. Mosimann, L., M. Steiner, and W. Henrich, Prediction of snow crystal type and riming by vertical Doppler radar, Atmospheric Research, 29, 85 – 98, 1993. Oberholzer, B., J. L. Collett Jr., M. Steiner, J. Staehelin, and A. Waldvogel, Precipitation scavenging of ammonia on a mountain slope: Experimental and model comparison, In Precipitation Scavenging and Atmosphere-Surface Exchange, Vol. 1 - the Georgii Volume - Precipitation Scavenging Processes, S. E. Schwartz and W. G. N​. Slinn, Eds., Hemisphere Publishing, Washington, D.C., 295 – 306, 1992. Collett, J. L., Jr., and M. Steiner, Investigations of the relationship between cloudwater and precipitation chemistry using Doppler radar, In Precipitation Scavenging and Atmosphere-Surface Exchange, Vol. 1 - the Georgii Volume - Precipitation Scavenging Processes, S. E. Schwartz and W. G. N. Slinn, Eds., Hemisphere Publishing, Washington, D.C., 381 – 392, 1992. Steiner, M., Die Kombination von Doppler- und Polarisationsradarmessungen im Niederschlag. Neue Perspektiven für die Radarmeteorologie (The combination of Doppler- and polarization techniques for the radar measurements of precipitation. New perspectives for radar meteorology), Dissertation No. 9558, Swiss Federal Institute of Technology (ETH), Zurich, Switzerland, 116 pp., 1991. Steiner, M., A new relationship between mean Doppler velocity and differential reflectivity, Journal of Atmospheric and Oceanic Technology, 8(3), 430 – 443, 1991. Waldvogel, A., J. Bader, H. Böhm, J. L. Collett Jr., W. Giger, R. Heimgartner, D. Högl, R. Lüthi, B. Oberholzer, T. Schumann, H. H. Schiesser, W. Schmid, J. Staehelin, M. Steiner, and J. Tremp, A multidisciplinary field experiment to study scavenging processes, Journal of Aerosol Sciences, 20(8), 1163 – 1166, 1989. Steiner, M., and A. Waldvogel, Peaks in raindrop size distributions, Journal of the Atmospheric Sciences, 44(20), 3127 – 3133, 1987. Member of the Organizing Committee for the AMS Automated Vehicles and Meteorology Summit, 23 – 24 October 2018, Washington, DC. Invited participant to the International Workshop on Research Issues in the Identification and Partitioning of Precipitation Type and Rates in Global Datasets, Global Precipitation Climatology Project (GPCP), 6 – 8 December 1995, Washington, D.C.